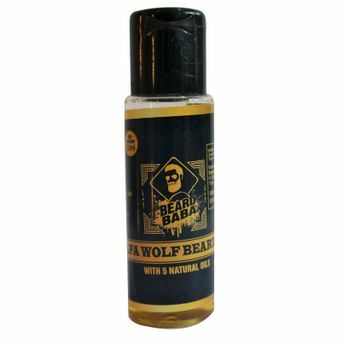 The Beard Baba Beard Growth Oil is made up of five natural oils that work for overall beard growth. Each ingredient works on specific growth cycle giving the best therapy required, promoting effective beard growth. A great beard conditioner, the formula goes deep into the roots of the facial hair follicles and boost hair growth. Use the Beard Baba beard growth oil for at least two months daily to find good results. Explore the entire range of Beard & Moustache Care available on Nykaa. Shop more Beard Baba products here.You can browse through the complete world of Beard Baba Beard & Moustache Care .